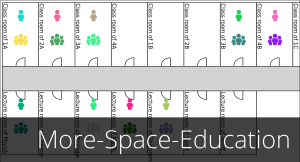 We are glad to announce that our brand-new More-Space platform for More-Space-Office, More-Space-Education and More-Space-Mobility is now online under http://more-space.ch/. Discover and use the full potential off your space! Visit us from 19th - 20th May in Mannheim (Germany) at the exhibition "Moderne Kommune" to discover your space potential! More infos at http://www.moderne-kommune.de/. 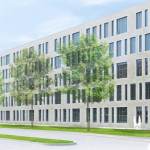 The IT service provider DATEV eG uses the dynamic simulation tool More-Space-Office for their IT Campus 111 in Nürnberg (Germany) that is currently under construction. 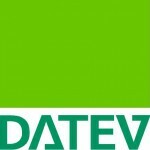 Thus, DATEV leads the way in implementing innovative workplace concepts and sustainable utilization in office buildings. DATEV identified different requirements for a modern office location and the individual needs for different employee types: open space workplaces, decentralized areas of retreat, meeting- and project rooms, a central conference center, central test center for software tests, a cafeteria and well located coffee points. 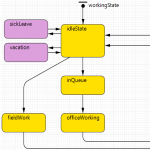 With the help of the More-Space-Office simulation DATEV could not just estimate the number of employees with specific work typology (part time rate, absent rate, tasks, hierarchy, ..) that can move into the IT Campus 111. They could also evaluate alternative scenarios with modified workplace configurations and employee behaviors and therefore optimize the planning process for the IT Campus. Project organisations are complex, dynamic, open socio-technical systems that are designed to complete each other in the domain of building construction. A planning experiment with 200 probands showed, that the early integration of experts for building services e.g. increases the job satisfaction and reduces the period needed for the project development, but the quality of results and necessary manpower needed remains more or less identical. We present strategies dealing with the increasing complexity of integrated optimization to optimize buildings, machinery and building services. 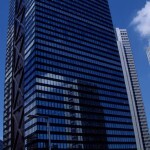 The development of corporate buildings and the structure of workplaces changed dramatically during the last number of decades. Studies show that the utilization of e.g. office space lies at 5% over its life cycle – so we need to rethink the design and the management of corporate facilities. Buildings which are heated, cooled and maintained but remain largely unused over time are economically and ecologically inefficient! The More-Space Tool is able to demonstrate each company its maximum benefit, as the model is customizable and supports rapid prototyping – a relevant characteristic for decision makers as managing directors, facility managers and others. The More-Space approach underlines that a successful achievement of the FM-potentials needs interaction between at least four competences: Organisational development, Space Management, Real Estate Planning/Development and Simulation – the high potentials for more efficient utilization often remain undetected until the usage of dynamic event-based computer-simulations. 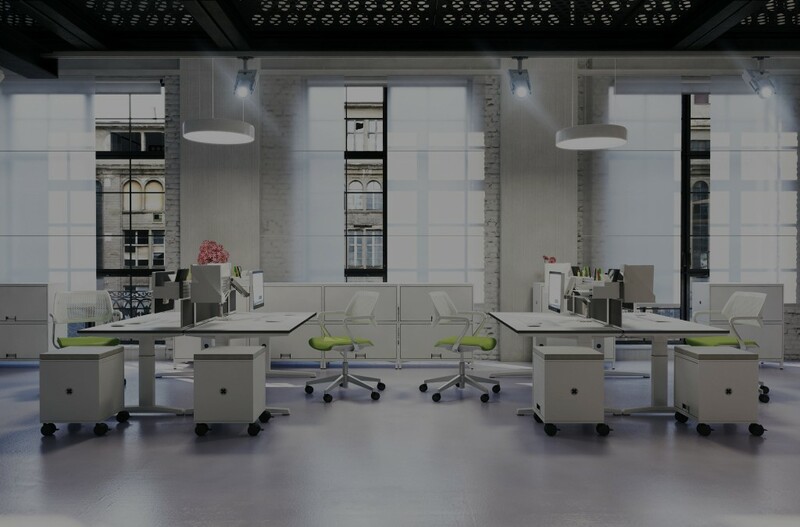 Governmental aims and corporate social responsibility, both force the reduction of energy-demand and CO2-emissions, whereas the space utilization for office purposes over lifetime within common office organisations is estimated at 5%. From an economic and ecologic point of view it is irresponsible and irrational that office buildings remain out of human activity about 95% over their lifetime. A sustainable approach for the optimal use of built (office) environment is given by the More-Space-Office tool. It is a simulation software built on the know-how of real estate development, facility management and mathematical modelling and simulation that aims to improve and optimize the utilization of workplaces in office buildings. 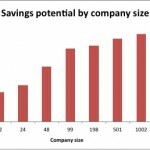 Current results of spatial management studies show impressive saving potentials up to 50% and more of their current workplaces within medium- and large-size companies. Utilization rates of office buildings are somewhere around 15 to 20% and therefore offer a huge potential for economic and ecological advance. Improvement of space utilization means improvement of space management, which is a long and difficult process of testing, selecting and offering alternative working (time) models. More-Space-Office is a discrete event simulation (DEVS) that models the dynamic behavior of employees, workplace demands and flexible workplaces. The simulation tool provides versatility and flexibility in computing the utilization for a specified behavior and in estimating workplace demands. It is an innovative, fast and cost effective tool that enables decision makers to test multiple potential scenarios with respect to their utilization efficiency to optimize workplace demands for the dynamic behavior of the employees. Developers of real estate and infrastructure and builders in general are faced with the task of designing, steering and improving socio-technical systems that deal with project organisation, buildings and the use of the buildings. 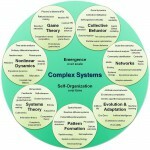 Due to the dynamic and complexity in these systems, almost all of the decisions faced by the aforementioned groups of people are based upon incomplete or insufficient information. Simulation tools allow to model these complex systems and their results can support decision making processes. 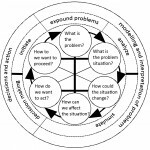 But successful model deployment requires more than just a correct model, fed with the right input; it has to address the needs (and questions) of those who need to base their decisions on the outcome. Therefore it is indispensable for modeling real-life systems, that the simulation specialists involved need a profound knowledge of the business, while the business experts have to understand possible simulation models and approaches. The study shows that a change of space management in public secondary schools in Austria can lead in average to a reduction of 300.000€ in operating costs per year or a reduction of 40% of the current space. This huge potential can be fully exploited by moving lectures from specialized lecture rooms to the class rooms or by moving lectures from fixed class rooms to shared course rooms. 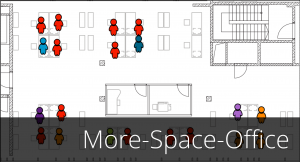 More-Space-Office is an event-based computer simulation that enables modelling of different workplace types in office buildings, their dynamic utilization over time, the management of rooms and the behavior of employees. It also simulates the allocation of required space to available space-time-slots. The simulation helps to answer concrete questions, in particular about the intense utilization of workplaces and the number of required workplaces under certain constraints. Discover our application platform directly at http://more-space.ch! More-Space-Office uses multiple discrete event simulations to model the probability distributions of employee behaviors and to estimate the required amount of workplaces and their utilization. How many workplaces do I need for my company building/office? How many employees fit inside my company building/office? How much space can be saved when introducing desk sharing? 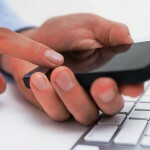 How much money can be saved when introducing teleworking and home office? How much space do I need for a very specific composition of employee needs? E.g. desk sharing for 30% of my part-time employees, home-office for 20% of my full-time employees. When introducing innovative workplace concepts, how much can be reduced in operating costs? Which Facility Management rules need to be applied for my company office/building to generate more space for my employees? Which alternatives do I have? Ask us for more specific information for your company and management rules and send us an email at info@gesim.ch! The biggest challenge is to find an optimal solution for both economical and business management reasons that also fits the employees desire and needs. Even though our long experience in FM we tackled these challenges with the use of the More-Space-Office simulation. More-Space-Education is an event-based computer simulation that enables modelling of different management rules in school buildings, their dynamic utilization over time, the management of rooms and the behavior of classes and teachers. It also simulates the allocation of required space to available space-time-slots. The simulation helps to answer concrete questions, in particular about the intense utilization of class and course rooms and the number of required rooms under certain constraints. Discover our application platform directly at http://more-space.ch! 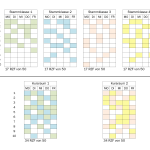 More-Space-Education uses Genetic Algorithms to compute the optimal schedules for rooms, teachers and classes that fulfill all custom rules. How can I intensify the utilization of my school building? 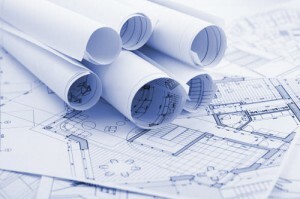 How can I reduce the operating costs for my school building? How can I reduce the number of required class rooms of my school building? How many rooms of which type (class room, course room, lecture room, etc.) does my school need? What happens if the number of classes increases/decreases next year? Can I fit more classes inside my school building, if there are not enough class rooms available? If yes, which alternatives do I have? If no, what Facility Management rules need to be changed that the new classes can fit? 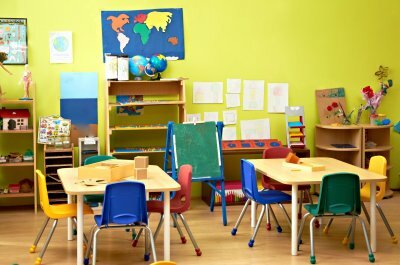 Which Facility Management rules can I apply in my school building? 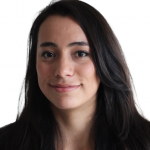 What are the effects of those changes in Facility Management rules? How would the timetable look like for rooms, classes and teachers? Ask us for more specific information for your school building and management rules and send us an email at info@gesim.ch! The change from class room principle to course room principle allows an reduction of 40% of the rooms in a school building; this corresponds to a reduction of about 300.000€ in operating costs per year. GESIM (german for GESellschaft für IMmobilienentwicklung mbH) is a university spin-off from ETH Zürich and Vienna University of Technology around Univ.Prof. Prof. h.c. Dipl.-Ing. Dietmar Wiegand and members of the Institute of Planning and Construction Management and faculty of Real Estate Development and Management. 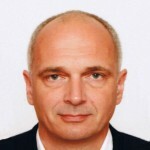 Already in early 2000, Dietmar - at this time managing director at CRCP (Centre for Research on Communication and Planning) - was researching different aspects of Architecture and Environmental Engineering with emphasis on Computer Aided Facility Management and application of IT in Real Estate Development. These studies led to diverse research projects, e.g. the multimedia workplace of the future (Federal Ministry of Economics and Technology, Germany) and online visualizations of structural data (Hessian Economic Ministry).During the following years, CRCP successfully applied simulation services for Property Planing in various development projects, such as planning cost-efficient flexible housing construction (Marburg Michelbach, Germany), building zoning (Schlangenzahl, Giessen, Germany), mixed-use development (Bad Mergentheim, Germany) and modernization of high-rise buildings (Darmstadt, Germany). In 2002, Dietmar moved to Zürich University of Applied Sciences in Switzerland to become head of IT for Real Estate and Constructional Engineering. Besides lectures e.g. in Constructional Engineering, Computer Aided Facility Management, IT for Real Estate and various more in the Facility Management degree program, his department led numerous research and development projects, such as flexible living in old age (Horgen, Switzerland), accommodation study for hospitals (Hospital Wädenswill, Switzerland), location analysis for colleges (Vocational College Wädenswil, Switzerland) and prospect concepts for the FM of universities (Zurich University, Switzerland). In the end of 2005, Dietmar changed to the Institute of Planning and Construction Management of ETH Zürich to become project manager for research projects in discrete event simulation and dynamic optimization. His team effectively applied these methods in development projects - for example in Development of Discrete Event Simulations for an Improved Risk Assessment of Property and Facilities Development and Business and Services At Remote Destinations focusing on the Dynamic Optimization of Workforce and Workflow Management and RFID Technology. 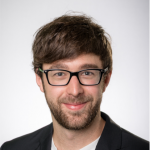 Since 2007, Dietmar is head of the Real Estate Development and Project Management department at Vienna University of Technology in Austria, a teaching and research department that he established, with a focus on Real Estate Development, Urban Development and Project Management. During this period he was leading various research and development projects, such as Interdisciplinary research on energy optimization of manufacturing plants (Siemens AG Austria), Cost-benefits of the integrated planning (ATP Sustain), methods and tools for an intensification of space accommodation of educational properties over time, Case studies on property development of special purpose properties (Seminar for Urban Planning and Commerce, Berlin, Germany), International comparative study on the effects of holiday resorts and Property development to promote cross-regional tourism to and the culture industry of the Community (Altenkirchen, Germany). At the same time, Dietmar and his team launched 3 research initiatives: International comparative studies on real estate development, Optimization of real estate and infrastructure throughout their life cycle - with the use of discrete event simulation, life cycle cost-benefit analysis and real options planning - and Urban and regional development. 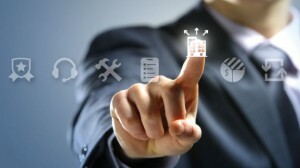 GESIM provides consulting and IT services in all of these fields as well as in other topics such as Real Estate Management, Project Management, Computer Aided Property Planning and many more. In particular, we are pushing the fields of study in sustainable utilization of built environment by intensifying the utilization of buildings over time. This method leads to an instant reduction of required space and therefore a reduction in CO2-emissions and costs. With our simulation services More-Space, this can be easily applied to schools, universities or company buildings. The simulation can demonstrate a win-win scenario - reducing the overall space of a building and therefore reducing the operating costs, while providing more space for the employees - just by a simple change of the FM rules. Discover our brand-new More-Space platform at http://more-space.ch/! Tell us more about you that we can provide specific information for your company, city, commune, university or school! Optimize the workplaces of your company according to your employees needs with our simulation service More-Space-Office. Save costs, reduce CO2-emissions and make your employees more innovative! Discover the potential of your building with our free Quick-Check. Ask for it now via info@gesim.ch! 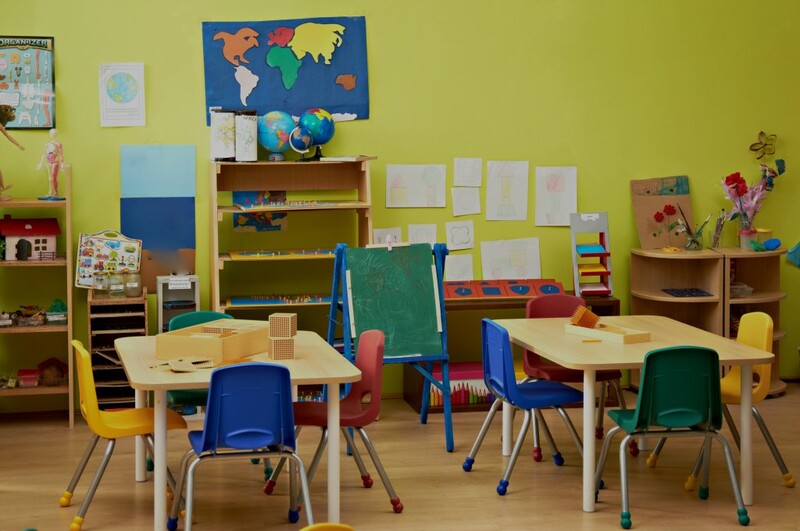 Optimize the rooms of your educational building according to the behavior of your teachers and classes with our simulation service More-Space-Education. Save costs, reduce CO2-emissions and optimize your space! We offer our services for your individual needs. Our products are based on more than 15 years in experience and research in the fields of Real Estate Development and Planning as well as Modeling, Simulation and Computer Aided Real Estate Development. 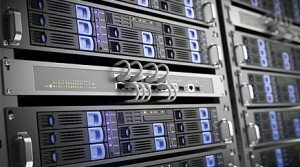 Our expertise and simulation services help our customers to optimize their projects.